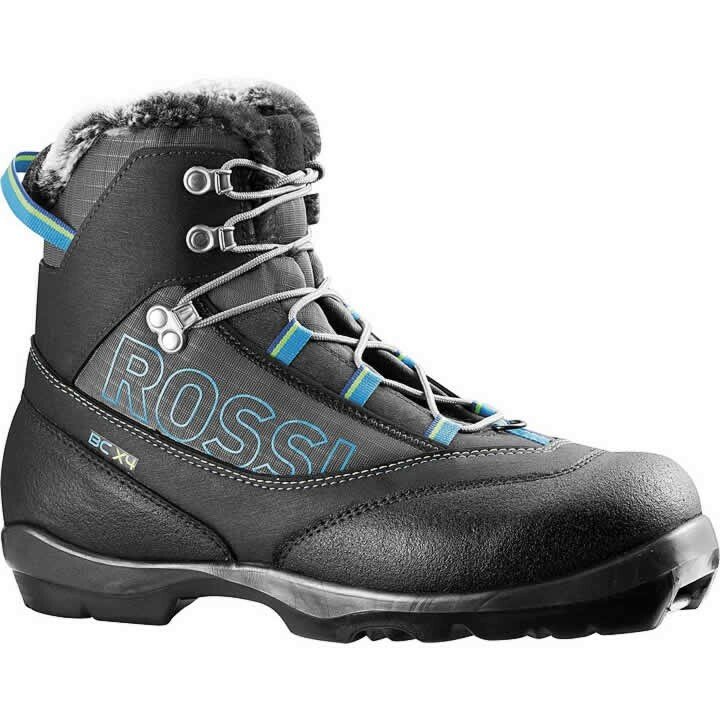 The women's Rossignol BC X4 FW Nordic Boot is an easy-to-use, mid-top backcountry touring boot with a women-specific fit for recreational backcountry skiers. The internal heel counter and gusseted tongue provide increased power and control while the simple lace-up design allows quick, easy entry and exit. The BC X4 FW is designed with a reinforced toe-box, midsole and heel to deliver increased durability for exploring off-trail.